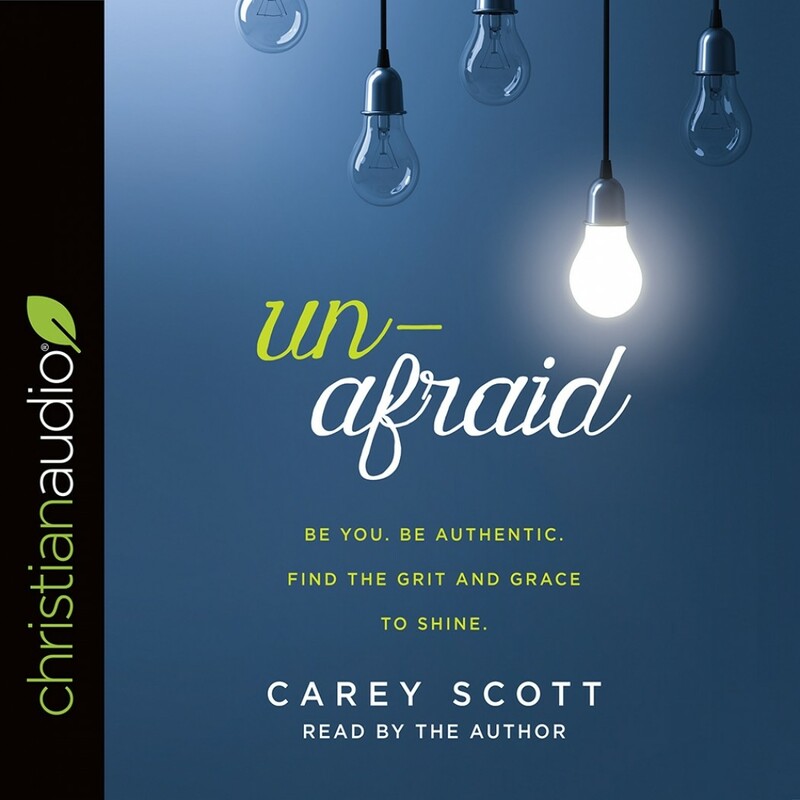 Unafraid | Carey Scott | Audiobook Download - Christian audiobooks. Try us free. Be you. Be authentic. Find the grit and grace to shine. We live in a world that tells us we have to look a certain way, live a certain lifestyle, have husbands who fit a certain mold, and have children that excel in every area of their lives. And rather than thrive in the life we have, we strive to create an existence that impresses others. This impossible treadmill leaves us with deep discontentment and a joyless existence. “Do not allow this world to mold you in its own image. Instead, be transformed from the inside out by renewing your mind. As a result, you will be able to discern what God wills and whatever God finds good, pleasing, and complete. Love others well, and don’t hide behind a mask; love authentically” (Romans 12:2, 9). Let’s link arms and commit to living authentic lives. . .together. Are you ready?